On October 17, 2006, the Bankruptcy Abuse Prevention and Consumer Protection Act of 2005 (BAPCPA) will celebrate its one year anniversary. At that time, a new provision will become effective requiring mandatory random audits of all consumer bankruptcy filings to verify the information disclosed in the petition and schedules. The purpose of auditing is, ostensibly, to provide an additional tool to prevent fraud. It may, however, also have the effect of intimidating the public further from seeking bankruptcy relief. This new provision may again drastically affect the way consumer bankruptcy practitioners represent their clients. Previously, BAPCPA imposed new stringent due diligence requirements on counsel to review the accuracy of all information provided in the petition. The new laws contained a host of sanctions aimed at promoting compliance. The new audit provisions, however, require the Office of the United States Trustee to consider referring material misstatements such as valuation errors and omitted assets to the United States Attorney for criminal prosecution. This article will highlight some important aspects of the new audit provision. Banking Industry Lobbied for Audit Requirement. The credit card industry, which pumped tens of millions of dollars into lobbying efforts and persuaded Congress to pass a tougher, new bankruptcy law, also persuaded the lawmakers that much of the information that was being filed in consumer bankruptcy cases was unreliable even though penalties existed against filing false information. The proponents of the new law argued that audits and criminal referrals were therefore necessary to provide additional compliance with providing correct information. Statutory Provision. Section 603 of BAPCPA, which amends 28 U.S.C. Section 586, requires the establishment of procedures “to determine the accuracy, veracity, and completeness of petitions, schedules, and other information that the debtor is required to provide in individual bankruptcy cases.” These procedures must be established by the U.S. Attorney General. Technically, the audit provision becomes effective on October 20, 2006, which is 18 months after BAPCPA’s enactment in April 2005. CPAs Will Conduct the Audits. The law provides that independent certified public accountants must perform the audits in accordance with generally accepted auditing standards. The Office of the United States Trustee must enter into contracts with “appropriate qualified persons” to do the audits. We are accustomed to the I.R.S. conducting tax audits by their own in-house agents. It will be interesting to see how the U.S. Trustee will employ and utilize non-governmental local accountants. Who Will be Audited? The audits will be both random and targeted. BAPCPA provides that a procedure must be established to randomly select at least one out of every 250 cases to be audited in each federal judicial district. The audits apply to debtors in Chapter 7 and 13 consumer cases. However, the local offices of the United States Trustee will also be able to target additional consumer debtors whose “income and expenses reflect amounts that are greater than the average variances from the statistical norm of the district in which the petition is filed.” In other words, if you have a client with high income or a lot of expenses, in addition to being investigated by the U.S. Trustee for substantial abuse under Code section 707(b), your client also faces a risk of being thoroughly audited as well. The Audit Report. The accountant will be responsible for preparing an audit report which must be filed with the court and the U.S. Trustee. The report must specify any material misstatement of income, expenditures or assets. A Positive Audit Report Will Trigger Many Events. If the audit report reveals that there is a material misstatement, the court clerk must then give notice of the misstatement to the creditors. In addition, the U.S. Trustee must report the matter to the United States Attorney for criminal prosecution, if appropriate. Finally, the U.S. Trustee must take appropriate action, including, but not limited to, commencing an adversary proceeding to revoke the debtor’s discharge pursuant to Code section 727(d). Is the New Auditing Program Ready? Based on an informal discussion with an attorney in the Office of the United States Trustee, as of this date a formalized program is not yet in place and each local U.S. Trustee office is waiting for a memo from Washington as to how to proceed. Official Position of the U.S. Department of Justice. 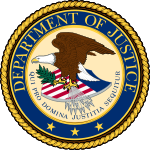 Some of the statements issued by the Department of Justice, which oversees the Office of the United States Trustee, include: “Without appropriate audits, the lack of reliability Congress found to exist will continue unabated. Not only will this new system help identify wrongdoers, who may be referred for criminal prosecution, but it also will help identify ‘red flags’ for the efficient detection of possible fraud in other cases.” In addition, “these audit provisions are an extremely important part of proper implementation of the Act because the information filed by individuals in a bankruptcy case is essential for the proper working of the new bankruptcy process. How Much Will The Audits Cost? In a report issued by the Congressional Budget Office (CBO), they estimated that implementing BAPCPA would cost an extra $392 million during the first five years to pay for the increased responsibilities of the United States Trustees. Of this amount, CBO estimated that audits would cost about $17 million per year, or a total of about $66 million until 2010. The increase in bankruptcy filing fees is paying for this. The CBO also estimated that each audit would cost roughly $1,000. Assuming that an accountant contracts at a rate of $100 per hour, then an average of ten hours of accountants time can go into each audit. That is certainly a significant investigation. Publication of Compiled Audit Results. BAPCPA provides that the U.S. Trustee must prepare reports, at least annually, containing the aggregate results of the audits, including the percentage of cases, by district, in which a material misstatement of income or expenditures is reported. It is anticipated that these reports will be made public. Practical Tips. BAPCPA has already imposed additional attorney liability for misleading statements and inaccuracies in filed documents. The possibility of an intensive audit should underscore the need to thoroughly review and check your clients’ materials for accuracy, especially in those cases where the client has high income or significant expenses. The chances of an audit will probably be about one percent, which is relatively small; therefore, facing an audit for any particular client is unlikely. Nevertheless, representing a client in an audit is additional legal work not anticipated in the original retainer agreement. The actual time that an attorney might need to devote to representing a debtor with an audit can easily be greater than the time spent on the bankruptcy case itself. Your retainer agreement should clearly spell out that representation with any audit or investigation is not included in the basic legal fee. About the Author. Long Island Bankruptcy Attorney Craig D. Robins, Esq., is a regular columnist for the Suffolk Lawyer, the official publication of the Suffolk County Bar Association in New York. This article appeared in the September 2006 issue of the Suffolk Lawyer. Mr. Robins is a bankruptcy lawyer who has represented thousands of consumer and business clients during the past twenty years. He has offices in Medford, Commack, Woodbury and Valley Stream. (516) 496-0800. For information about filing bankruptcy on Long Island, please visit his Bankruptcy web site: http://www.BankruptcyCanHelp.com.